Feeding captive cheetahs raw meat and carcasses – rather than commercially-prepared diets – may improve their health, according to research. The study, led by scientists at Nottingham Trent University, aimed to investigate how diet could be contributing to the high levels of gastrointestinal disease in captive cheetahs – something which poses a serious risk to their survival and welfare. Almost all captive cheetahs in North America and South Africa – and more than half of the European population – are known to suffer from gastritis. The disease includes an inflammation of the stomach lining and causes diarrhoea, vomiting, weight-loss and leads to deteriorated welfare and associated reproductive problems. It is, however, virtually non-existent in free-ranging cheetahs. 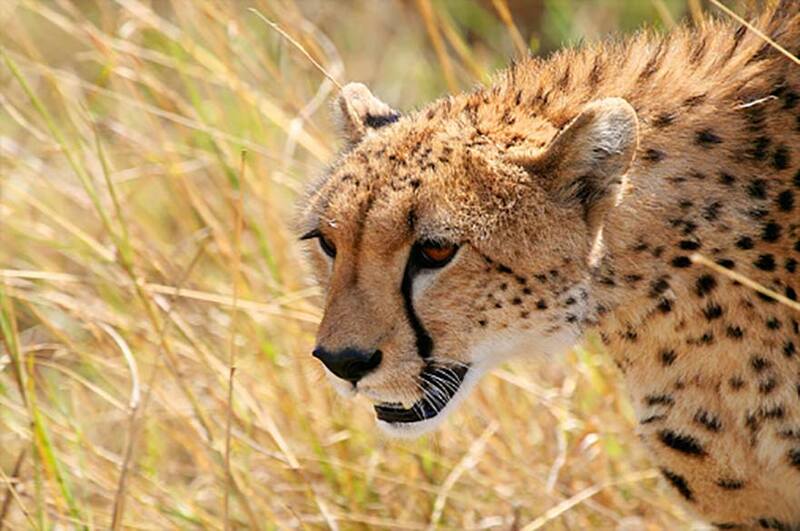 Through the use of an online survey, scientists received responses from 86 international zoological facilities, which enabled them to investigate the health and nutrition of 184 cheetahs in 19 countries around the world. The survey represented 12 per cent of the world’s captive cheetah population – the largest ever international study of its kind. The study, which also involved scientists at the American Veterinary Medical Association in the USA (Dr Sandra Lefebvre) and Ghent University in Belgium (Professor Geert Janssens), is published in the journal PLOS ONE . The research was sponsored by The Angel Fund (The Cincinnati Zoo and Botanical Garden, USA) and Cheetah Outreach (South Africa). The most common diet type fed to captive cheetahs was raw meat (37%) followed by commercially-prepared diets (20%) and carcasses (8%). Commercially-prepared diets typically include minced meat such as horse or beef, with added vitamins and minerals. More than two in five (41%) cheetahs had diarrhoea and more than a third (35%) had vomiting within six months of the survey being conducted (2012). After controlling for other factors, it was found that regularly feeding cheetahs with muscle meat was associated with reduced risk of gastrointestinal disease. Regularly feeding rib bones reduced the risk of diarrhoea, while eating limb bones cut the risk of vomiting, the study showed. Cheetahs fed on carcasses had the lowest prevalence of GI disease and none were reported with liquid faeces - an indicator of poor gut health. The ideal faecal type – firm and dry – was most common in cheetahs given raw meat. "We have found an epidemiological relationship between diet and indicators of gastrointestinal disease," said lead researcher Dr Katherine Whitehouse-Tedd, of Nottingham Trent University’s School of Animal, Rural and Environmental Sciences. "Our study strongly supports the recommendation of a naturalistic diet for cheetahs, including both muscle meat and carcass components. "The cheetah is classified as vulnerable, with free-ranging populations threatened due to loss or degradation of their natural habitat, and conflict with landowners and farmers. The captive population offers a scientific resource for improved understanding of cheetah biology, with the aim of improving captive animal welfare and reproduction. "A better understanding of potential dietary drivers of captive cheetah gut health will also increase the capacity of zoological facilities to evaluate, monitor and improve captive animal dietary provision." The study also found that, controlling for other factors, male cheetahs were 76% less likely to develop chronic gastritis than females and that eating horse meat regularly was associated with a greater risk of developing gastritis and vomiting. The researchers believed the risks associated with horse meat could be related to increased fermentation (linked to inflammatory responses) in the animal’s lower digestive tract when consuming horse meat, due to its higher protein digestibility and relative lack of animal fibre. 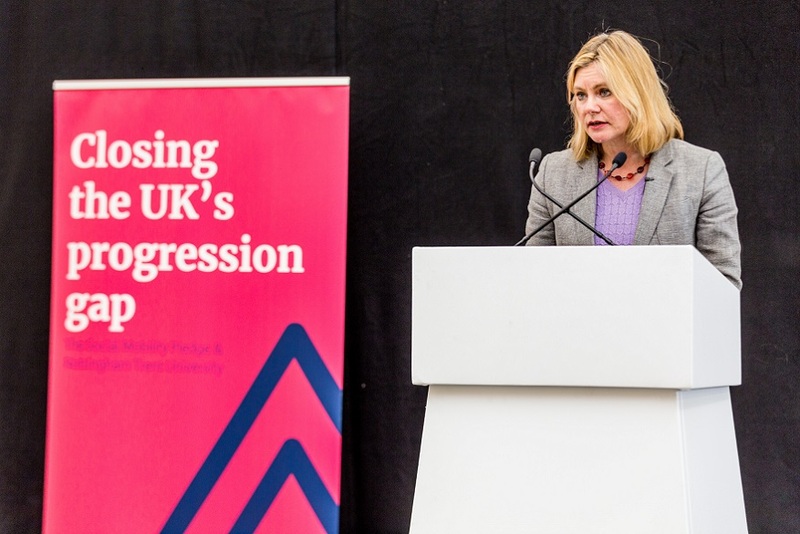 Press enquiries please contact Helen Breese, Media Relations Manager, on telephone +44 (0)115 848 8751, or via email; or Dave Rogers, Head of Communications, on telephone +44 (0)115 848 8782, or via email. 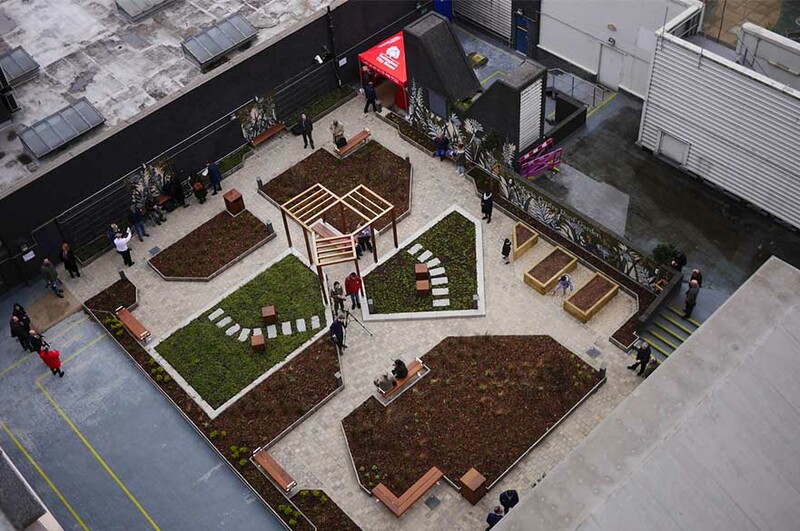 A project to create Nottingham’s largest intensive ‘sky garden’ was designed by award winning landscape design practice Hosta Consulting, the brain child of FdSc Horticulture graduate, Helen Taylor. 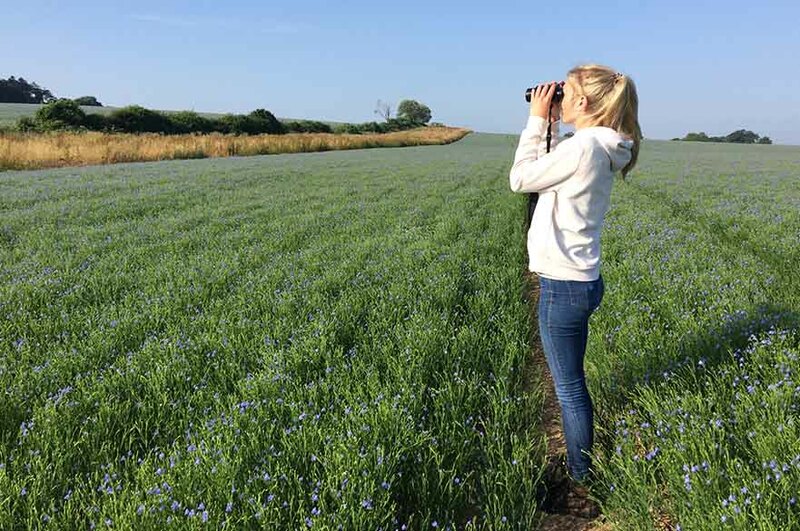 BSc (Hons) Wildlife Conservation student Holly Kembrey was named winner of the prize for her account of her placement at the Game and Wildlife Conservation Trust.